Pokemon Go has not led to enough public controversy to warrant an Arnab Goswami debate, so articles in the Indian media are scarce. When articles did pop up, they were usually in English. This was strange, in my opinion. If you grew up in the early 2000’s, you’d remember that the Cartoon Network channel was subject to random language changes. One day you find that Team Rocket would sing their theme song in Urdu. The next day Ash would urge his companions on in Tamil. Surely there were Pokemon fans in regional languages? I thought it would be fun to see what Kannada papers did with the story. What makes it different from the India Today article (“Pokemon Go is not for Mumbai Roads”) or the News 18 article (“5 reasons not to play Pokemon Go”) or the Indian Express article (“Why I don’t see myself playing this wretched game”) –the first results when you Google ‘Pokemon Go India news’? From Kannada papers, you actually learn more about people who play the game and what everyone around seems to think about it. For instance, did you know that the Bangalore Traffic Police threatened to throw people in jail for playing Pokemon Go while driving? It would have been an unusually specific threat, unless of course the traffic police came across a few people riding along trying to catch Pokemon in Bangalore’s potholes. The reporter who wrote this Kannada Prabha article clearly knew what Pokemon were and expected the reader to know them too. Funnily, he does not use the term ‘Pokeballs’ and just says you throw balls at Pokemon. The article then lists out the dates on which people in Canada or New York got run over while playing Pokemon. The Suvarna news article even went so far as to list out a few other augmented reality apps. It was eventually distracted into giving us a brief history of Pokemon and augmented reality. No one was run over in this article. Udayavani also reported on the police telling people not to play Pokemon and drive. Do you think cops will download the game and start hanging around rare Pokemon just to catch people? This, however, happened in Mumbai and not Bengaluru. The article quotes the police asking people not to make life and traffic more difficult than it already is. Vijayavani was the only paper that named a person who got into an accident. 26 year-old Ali got too distracted while trying to drive his car, playing Pokemon and explaining to his passengers what he was doing. TV 9 was quick to declare “Pokemon craze crosses limits”. They aired clips of Australians pulled over for playing Pokemon Go and driving. 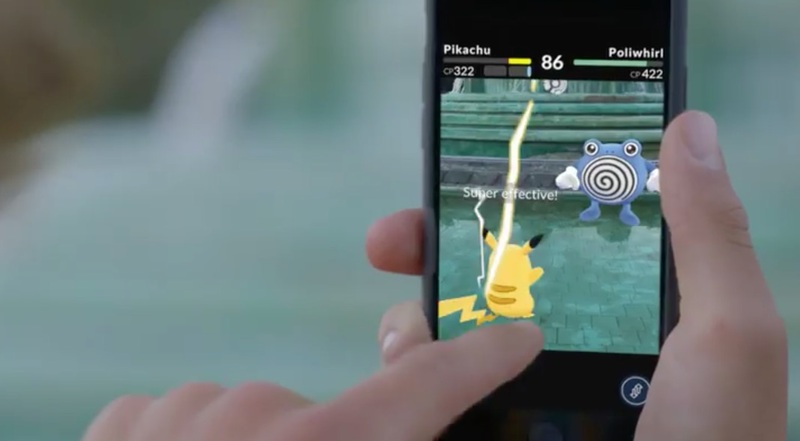 Other channels also ended up reporting on Pokemon with morally-outraged headlines but wound up explaining what augmented reality was and how to play Pokemon Go. Reader, writer, blogger, and workaholic. Student of English, journalism and psychology at St. Joseph's college. Can be found over at rijulballal.wordpress.com.